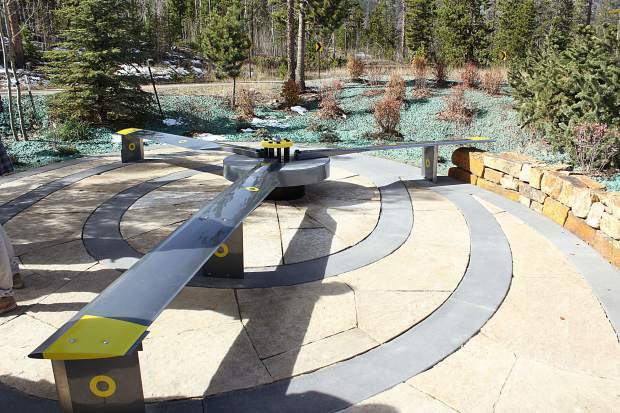 This bench located in the Flight For Life Mahany Heroes Park was made of decommissioned helicopter blades of the same kind of helicopter Patrick Mahany was flying on the day of the crash. Members of the community can come to the park on Tuesday to remember Mahany and those injured in the crash at a ceremony beginning at 10 a.m.
On July 3, 2015, Flight For Life helicopter pilot Patrick Mahany Jr. was tragically killed in Frisco when the helicopter he was piloting had a mechanical failure and crashed into a parking lot next to St. Anthony Summit Medical Center. Mahany was 64. On Tuesday, July 3, St. Anthony will remember Mahany on the third anniversary of his passing with a memorial ceremony at a park on the hospital campus named in his honor, the Flight For Life Mahany Heroes Park. The memorial will be a time to pause and remember Mahany, as well wish the continued recovery for crew members Dave Repsher and Matt Bowe, who were also seriously injured in the crash. The ceremony will take place at 10 a.m. at the hospital park, located at 340 Peak One Drive in Frisco.